At the time of placing an order, the customer acknowledges having read the general conditions of sale stated in this section. He expressly declares to accept them. These general conditions of sale apply to the existing commercial relations between QUADRATOfitlife.com and the customer, both parties accepting them without reservation. 1- The customer can choose online items from the QUADRATOfitlife product range by going to www.QUADRATOfitlife.com and collecting them in a "basket" by clicking on the "add to basket" button. 2- By clicking on the button "order and pay", the customer agrees to buy the items that are in his basket and approves these GTC. The refusal of a package is not a right of withdrawal, any package refused without justification from the customer will be charged to the customer. 3- The order confirmation sent immediately by QUADRATOfitlife to the customer after the order by means of an automatic email proves that the order (confirmation of purchase) of the customer has reached QUADRATOfitlife.com. 4- If an ordered item is not available (out of stock) QUADRATOfitlife reserves the right to modify the order with the customer's agreement. The customer is informed by phone or email. Pay securely with the majority of current credit and payment cards. Payment transactions are highly secured by Stripe. The data is secured by SSL encryption. Accepted credit cards are reported during the payment process. The account of your credit / debit card will be charged the amount of the order validated. Credit card data is not accepted by E-Mail for data protection reasons. Our responsibility is not engaged in non-required transmissions of credit card data. To place an order, you must be 18 years old or older. We will need your name, first name, home address for delivery, e-mail address and phone number. - The buyer will have to select the desired products from the menu that will be suggested in the site by specifying: The flavor, size, color for each product before placing them in the basket. - The buyer will then have to complete the following steps by providing: The delivery address, the e-mail address. He will be asked to check the order and choose the method of payment. - The order has been placed. The buyer will receive a confirmation of the order by e-mail. This website is not intended for children under 18 years old. For a child under 18 to get our products will require parental approval by e-mail that will be followed by verification of their identity. The products sold are presented on the website www.QUADRATOfitlife.com at the time of sale. Product characteristics, prices, size, illustrative images and photos are shown for information only. Prices are in Swiss francs (CHF) including VAT. The prices applied will be those appearing on the site on the day of the registration of the order. We decline any responsibility in case of loss or theft of the parcel or error made by the post office or postman, who would leave the package outside your mailbox or in front of the door. In this case please contact the Swiss Post Office. 9. PROTEST AND DAMAGE DURING TRANSPORT. When receiving the package, the customer must immediately check the contents of the package. In case of defective or damaged items by the carrier, the customer has the right to claim by email to [email protected] within two days upon receipt of the goods or directly to the Post Office. Return charges are the responsibility of the customer. In Switzerland, no right of return is officially provided if no defect is found. For food products, sports nutrition, vitamins and minerals, for hygienic reasons, in accordance with the regulations on the protection of consumer health, it is not possible to return the product. This same rule applies in specious cases such as "the taste does not please" or if the customer has made an order error. For articles, clothes or accessories, if the size should not be suitable The exchange is free within 3 days, receipt of the order. Return costs to QUADRATOfitlife are the customer's charge. The items to be exchanged are indicated on the return slip with the size cor of your corresponding exchange. Your items must be returned in their original packaging with labeling and in perfect condition. Be careful not to detach the labels. If label is removed or detached, the exchange will be refused. The products listed in the "promotions" or "sales" selection are neither refundable nor exchangeable. QUADRATOfitlife respects your privacy and is committed to ensuring the protection of your personal data and does not transmit any data to third parties. All data is treated in the strictest confidence. We reserve the right to use information about the purchasing behavior in an anonymous form for commercial purposes. The proposed nutritional supplements are not drugs. Product descriptions, instructions for use and advice are for information only and are based on data provided by the manufacturer or scientific articles. We can not guarantee the completeness or accuracy of the data. These elements do not replace medical or pharmaceutical advice. 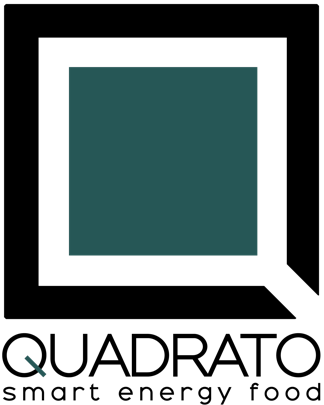 For any damages whatsoever arising directly or indirectly from the use of the information given by "www.QUADRATOfitlife.com", no liability will be taken by QUADRATOfitlife. Read carefully all the information provided with the products and consult your nutrition advisor if you have any questions. Please follow the instructions on the packs of nutritional supplements Keep dietary supplements out of the reach of children.